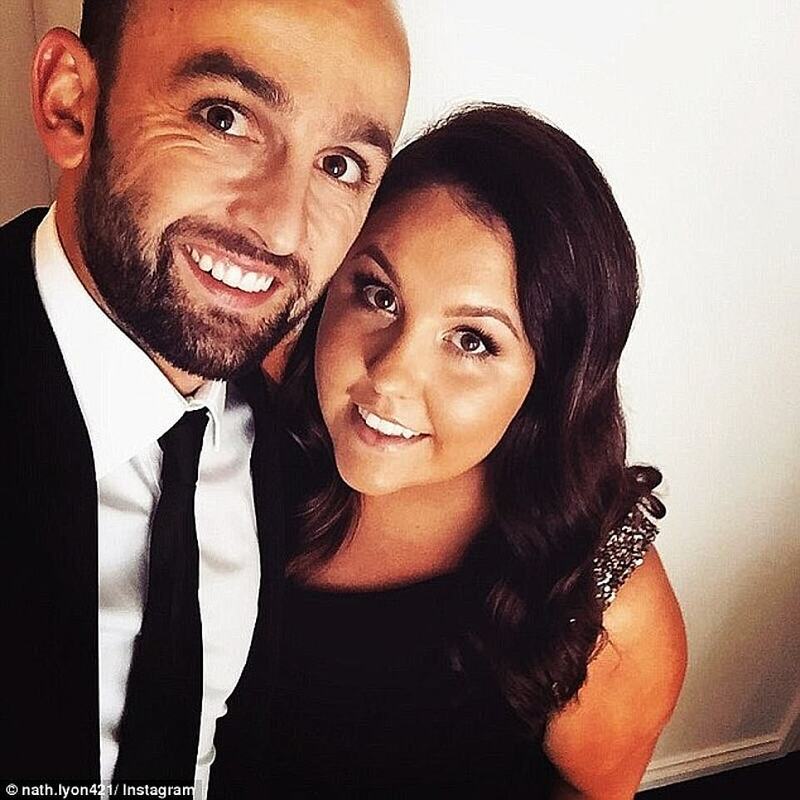 Nathan Lyon was spotted out and about with his glamorous girlfriend and close family only hours after he was ridiculed by former cricket stars for his performance in Australia’s most recent test match. Lyon was all smiles when he stepped out hand-in-hand with new flame Emma McCarthy in Sydney’s affluent Double Bay for a drink. The pair looked casual, with Lyon sporting an all black ensemble along with an olive Nike baseball cap, while Ms McCarthy looked effortlessly chic in a striped blouse and her hair swept into a low bun. The spin bowler and his glamorous girlfriend took turns carrying Lyon’s niece, who is of a similar age and close friends with the children he shares with his ex-wife Melissa Waring. The little girl appeared in high spirits when playing with Ms McCarthy, giggling as she was tossed in the air by her uncle’s new girlfriend and comfortably clutching at her waist. The trio were joined by Lyon’s brother Brendan and parents Bronwyn and Steve. The very public family outing comes only a day after Ms McCarthy was finally welcomed into the coveted WAG inner circle. The women’s display of solidarity alongside the blonde beauty came amid rumours the group had vowed to shun Ms McCarthy in support of Lyon’s ex-wife and friend of the group, Mel Waring. And that appeared to be the case for the past 12 months. 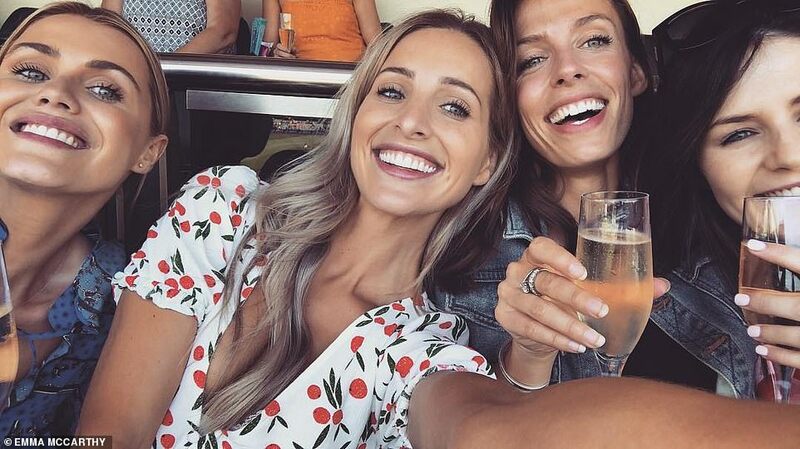 But on Saturday, Ms McCarthy made her stunning debut at the Sydney Cricket Ground’s Pink Test, linked arm-in-arm with some of the most high-profile WAGs on the Australian cricket circuit. The glamorous real estate agent wore a floor-length white and pink floral gown for her first Cricket Australia function – the Jane McGrath high tea held in the city’s Entertainment Quarter. The pair made headlines for beginning their relationship amid Lyon’s split from long-term partner and mother of his two children, Melissa Waring. 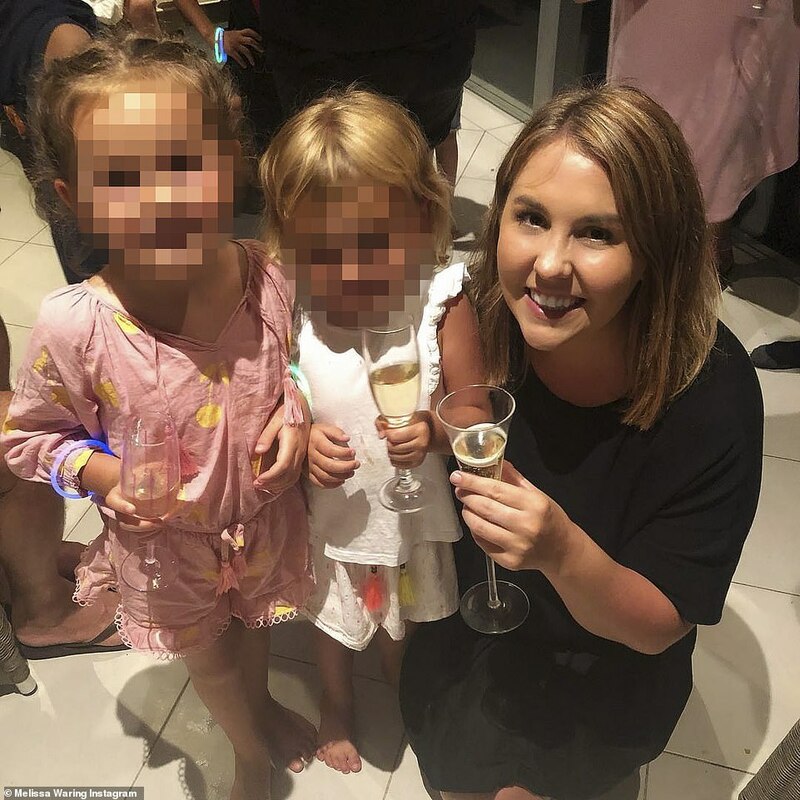 According to The Daily Telegraph, this made it hard for the 26-year-old Perth real estate agent to settle into the WAG family, as they continued to support Ms Waring. ‘The Pink Test high tea is the day when the WAGs are most visible. So if ever there was a day they would hide Emma today would be it,’ an insider told the paper. Earlier in the day, Lyon was publicly denounced by Shane Warne and former skipper Ricky Ponting for his performance in the five-day test series against India. Warne ignored Lyon’s successes throughout the game, in which his bowling attack has been a bright light for the ailing team, and instead criticised his ‘stubbornness’ for allowing 178 runs to be scored against him. Similarly, Ponting accused Lyon of showing ‘no desperation’ and his teammate of being ‘slack’ when he was dismissed while batting on Sunday. He claimed Lyon had the opportunity to challenge an umpire’s ruling but chose not to do so – a decision that was costly when replays determined if he had done so he would have remained on the field. The side is now staring down a second consecutive Test loss to India ahead of the final day on Monday. 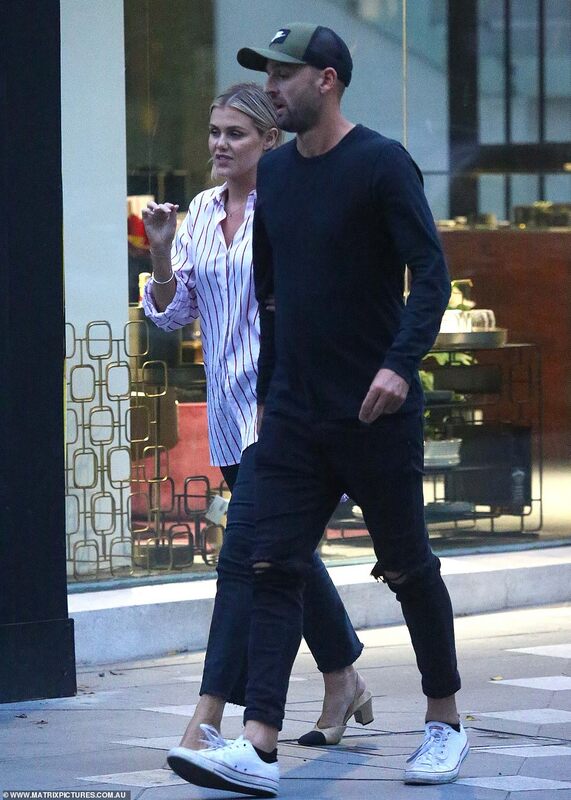 Lyon and Ms McCarthy have recently become a lot more comfortable appearing in public with one another after the controversy that initially shrouded their relationship. Lyon left his wife of nine years to embark on a relationship with Ms McCarthy, which was revealed after images surfaced of the pair kissing in a stationary car. Ms Waring has maintained her friendship with a number of the exclusive team of partners but it appears the rumoured pact to shun Ms McCarthy from the inner circle made out of loyalty no longer still stands. Before Australia’s Test series against India, Lyon allegedly told team management something had to change, and that his new girlfriend would be present at future matches. On Saturday, her status in the inner circle seems to be confirmed as she sat at the head of the table at the high tea. Rachel Khawaja, wife of batsman Usman Khawaja, said it’s always hard to welcome a new person into the group – especially at the loss of someone else. ‘But if your friendship’s strong enough you will stay friends,’ Mrs Khawaja said. Details of Lyon’s relationship with Ms McCarthy were recently revealed when the 26-year-old real estate agent switched her Instagram profile from private to public. 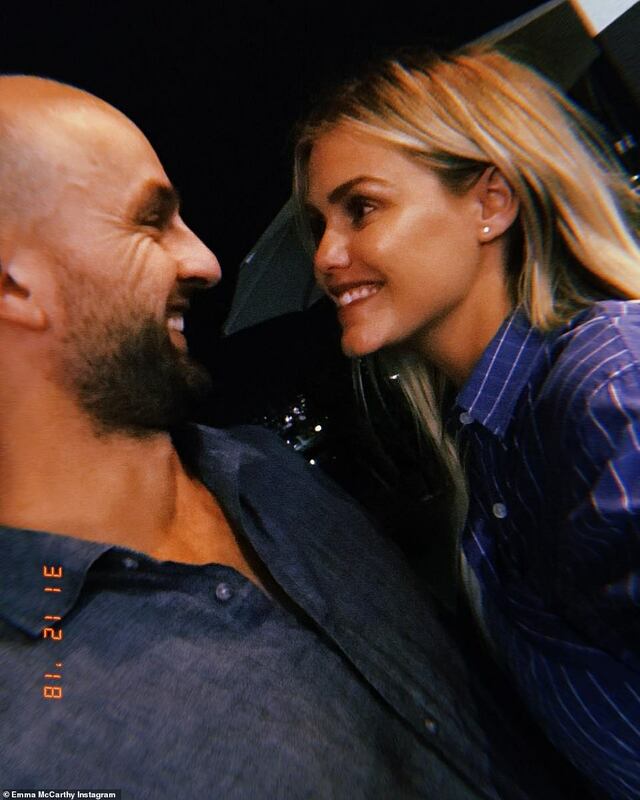 From boating in the Greek Islands to wine tasting in South Africa, the pair have enjoyed romantic getaways in Australia and abroad, as documented by Ms McCarthy’s Instagram page. Notably, Lyon’s own Instagram page makes no mention of Ms McCarthy or their travels, instead focusing on his two children, who he shares with Ms Waring. News of Lyon’s relationship with McCarthy, who is the former flame of his Australian teammate Mitchell Marsh, broke during the third Test of the 2017/18 Ashes series. Friends of Lyon confirmed at the time his relationship with Ms Waring was over and he is ‘very much in love’ with Ms McCarthy. They claimed Lyon’s ‘loving and committed relationship’ with McCarthy had been ‘kept secret’ for the sake of his young family. But speaking with Daily Mail Australia at her doorstep following the revelations, Ms Waring denied she had split from Lyon and said she knew nothing of his other relationship. Asked whether she was still with her long-term partner, she said: ‘I think seeing his car sitting in the drive way and his washing sitting here, that probably gives you enough of an idea. Ms Waring later spoke candidly about her struggles to cope with the relationship breakdown in a series of posts on her blog, Life of Lyons. ‘We have lived a life where he has constantly travelled, cricket was life and touring was a given… it’s easy to forget,’ she wrote in March.